Well, the ability to read the old legacy files was added over the course of the last few months and seems to be working pretty well. A lot of the parameter editing is in there, and now I have the ability to save files and export images. As an example you can see the latest entry in the gallery, Weave. 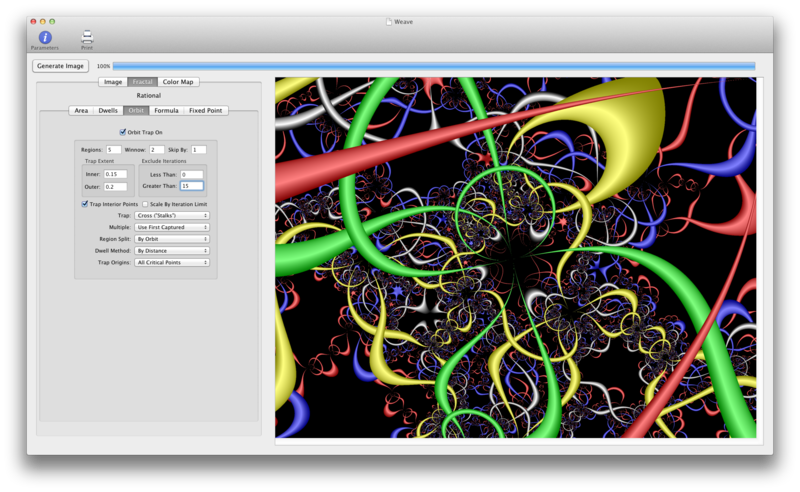 All that remains is the color map editor and the formula entry editor and the new program will be about up to speed with the old Fractal Domains (except with a much nicer interface). The next step will be to add new features and fractal types. Here’s a screenshot of the program in its current state.